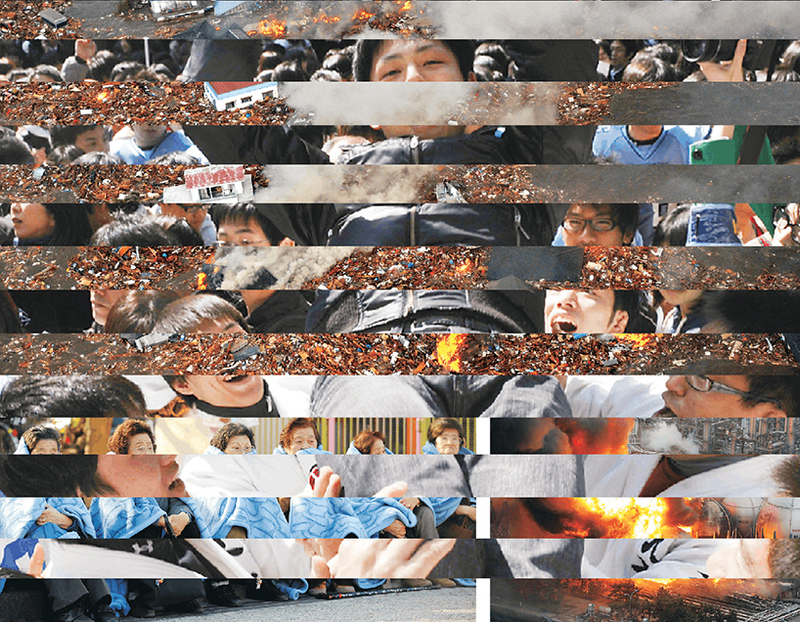 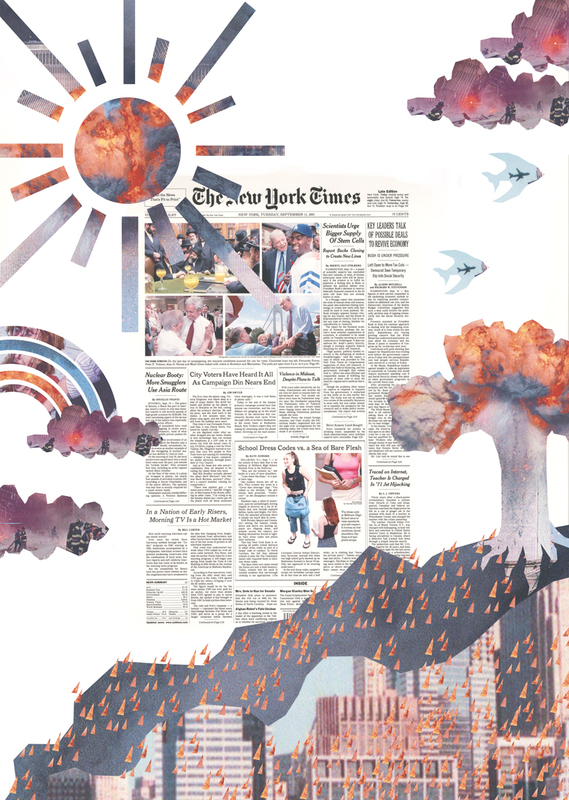 if destruction is art, collaging is its most polite form, or so I thought until seeing these. 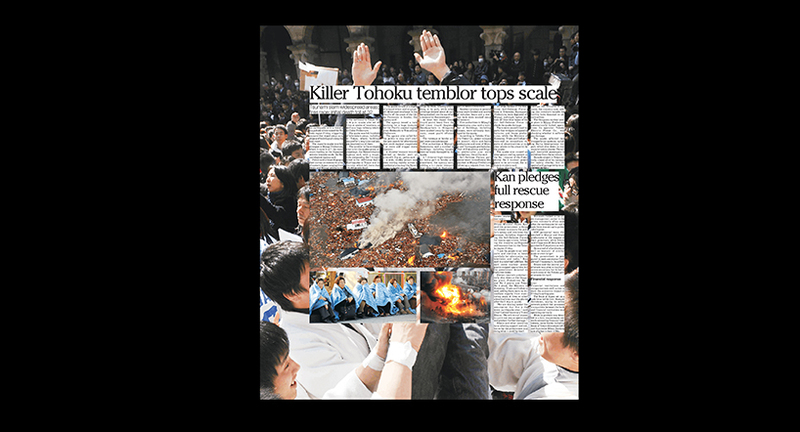 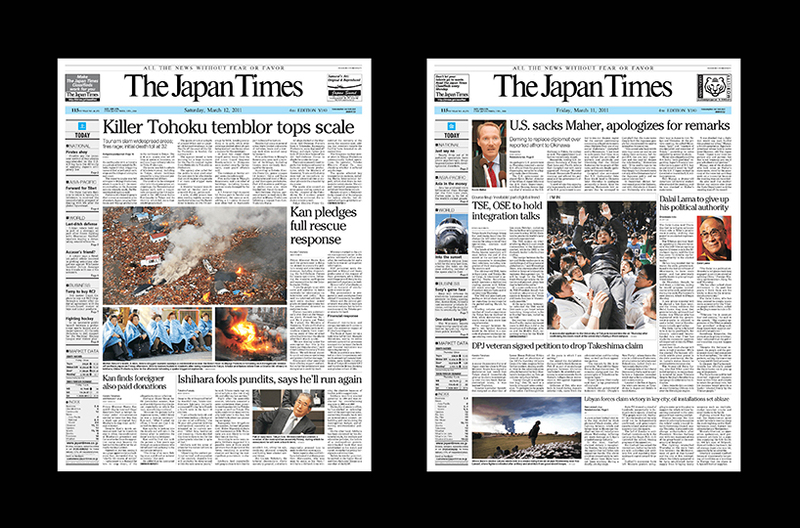 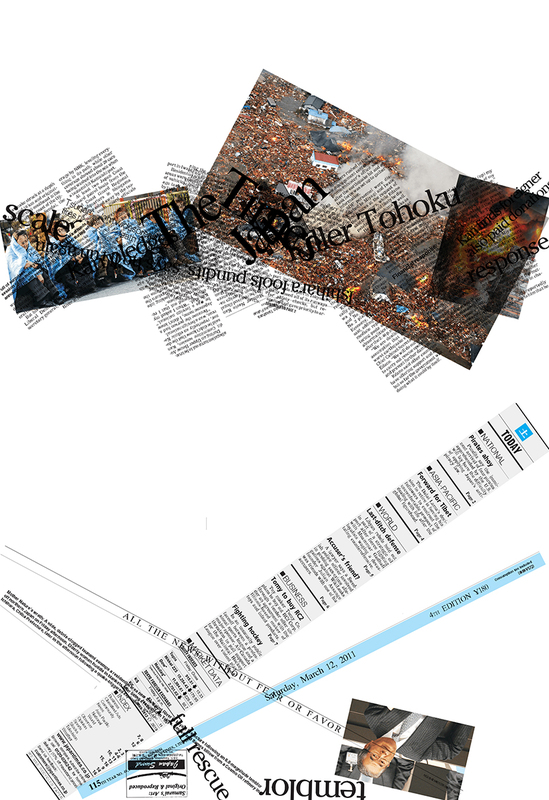 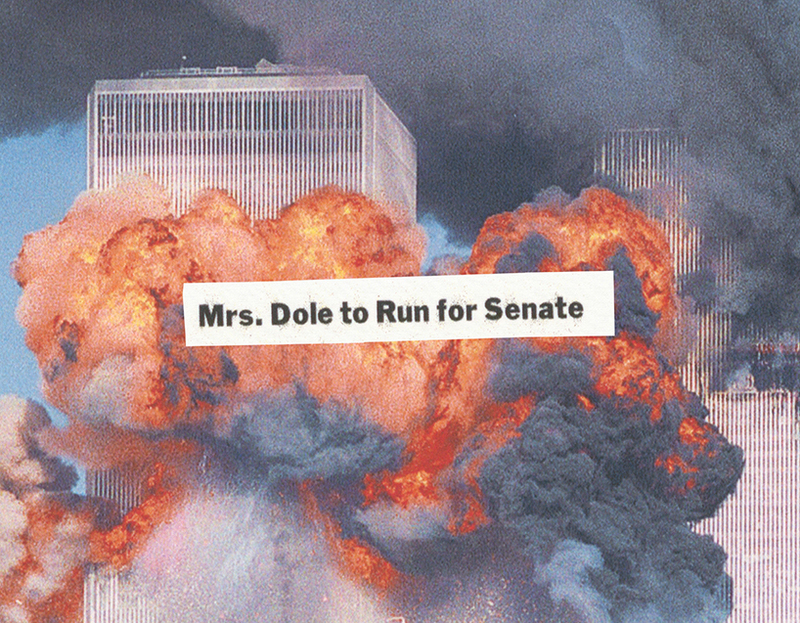 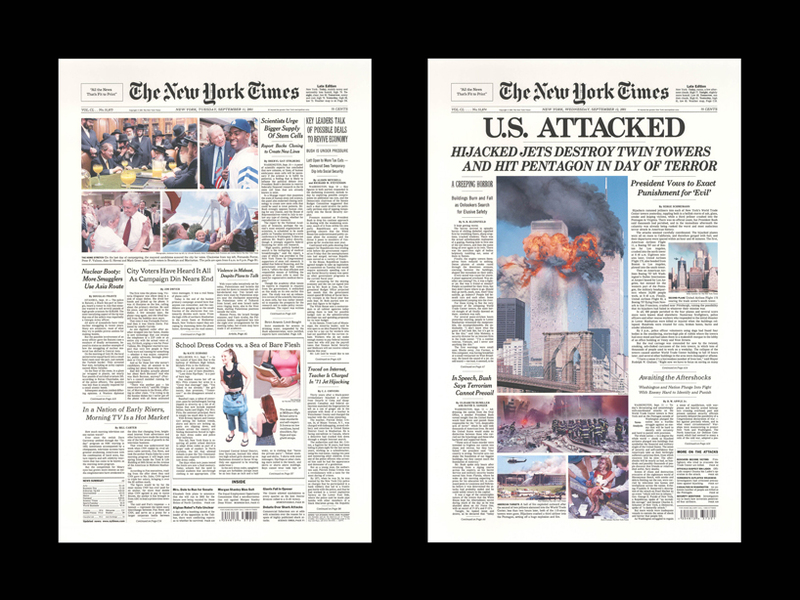 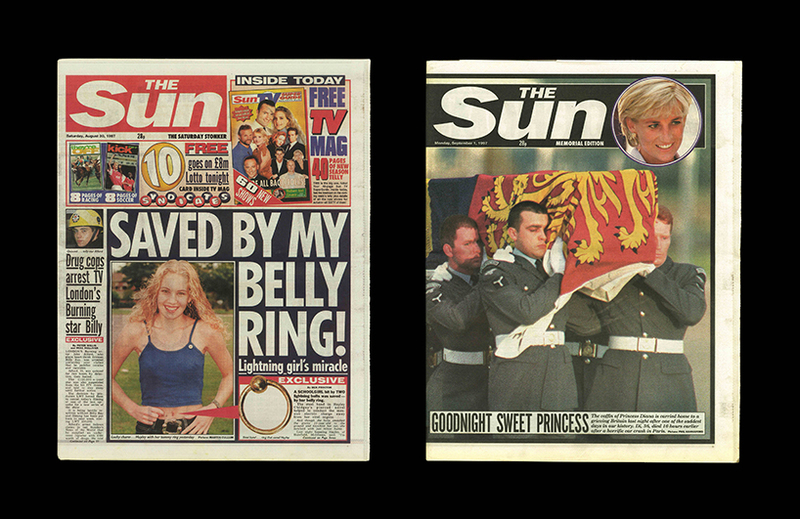 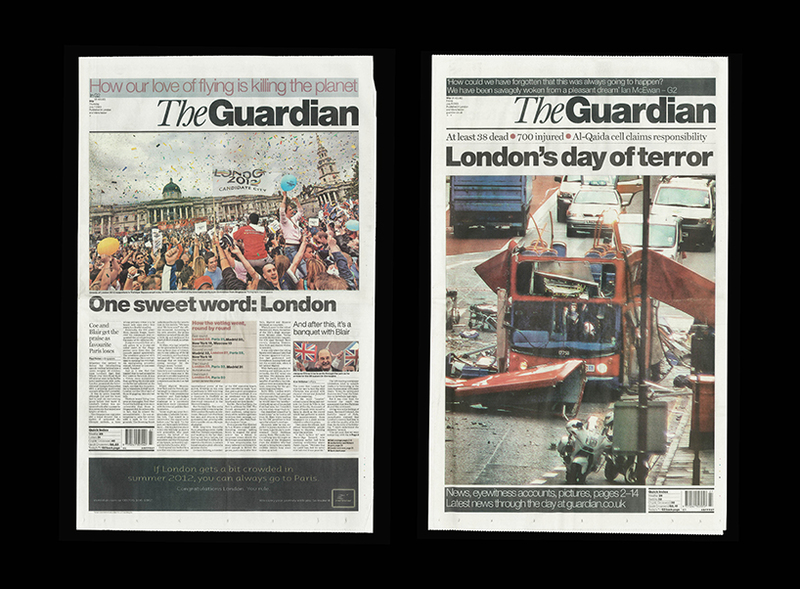 scott kelly and ben polkinghorne’s latest series ‘the news before the storm,’ juxtaposes papers the day before and of world tragedies. 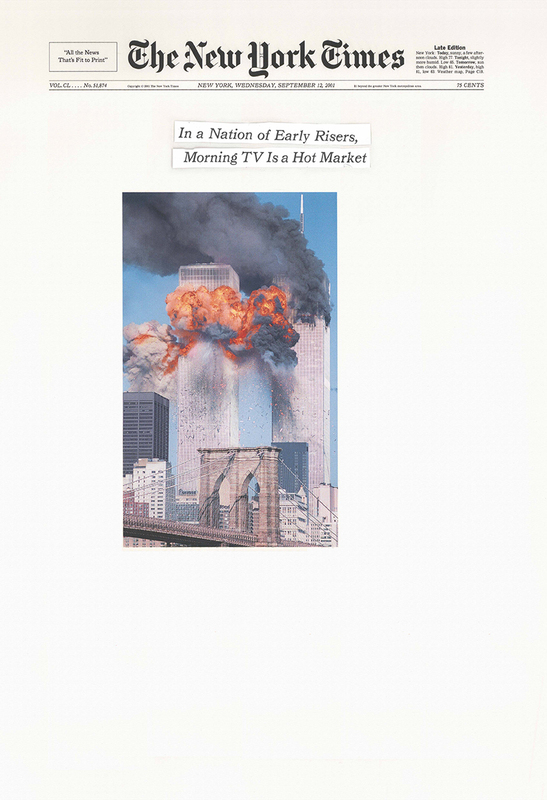 9/11. 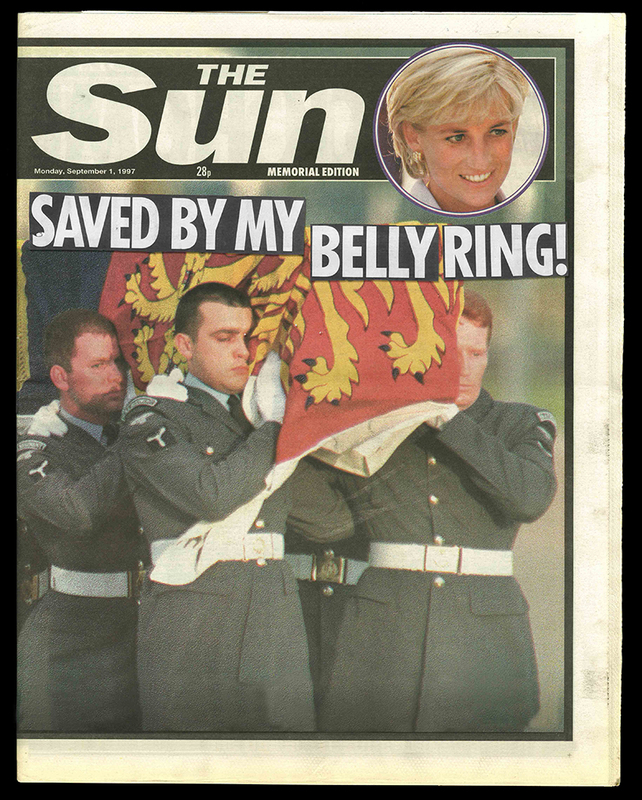 princess diana. 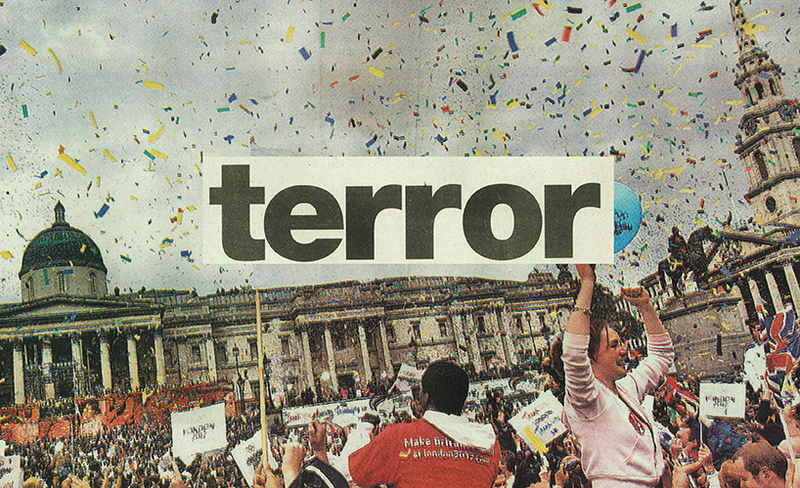 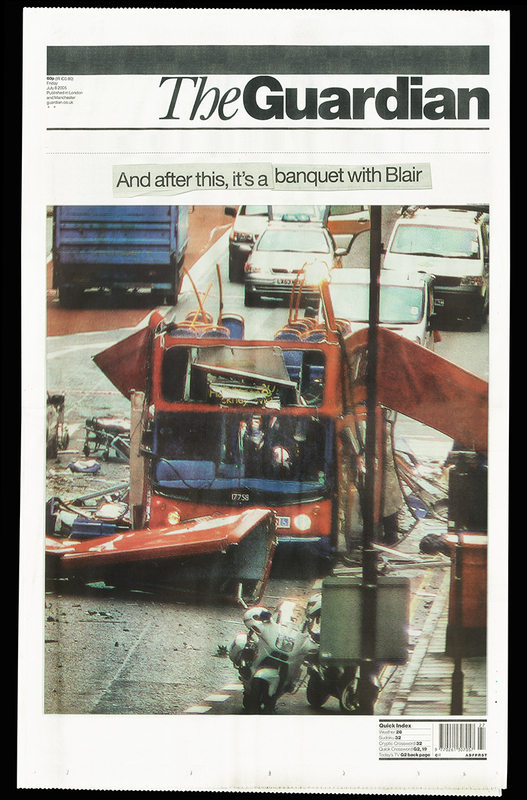 london bombings and tsunamis — a common thread between these, scott and ben remind us, is how trivial our worries are before sobered by catastrophe. 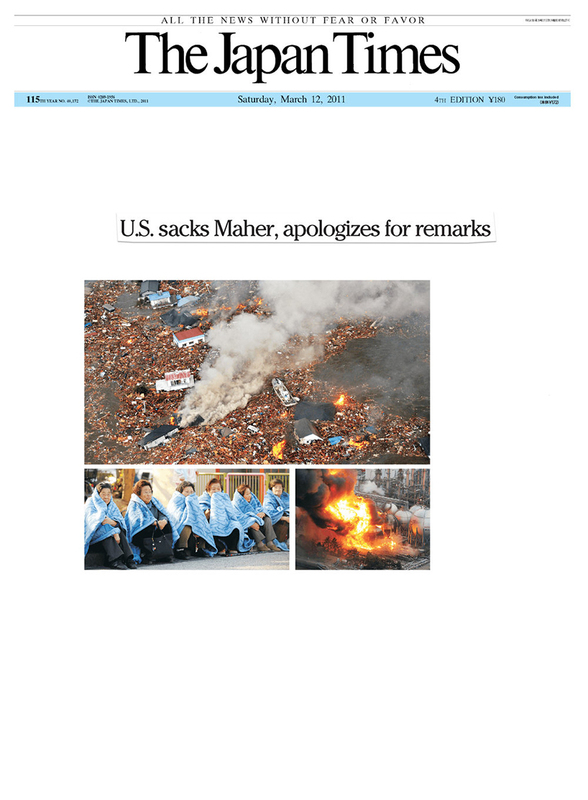 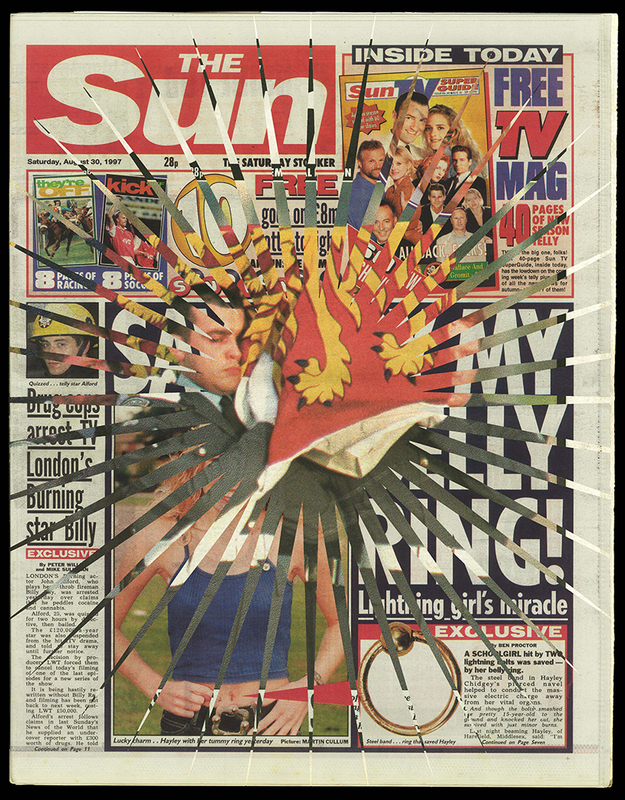 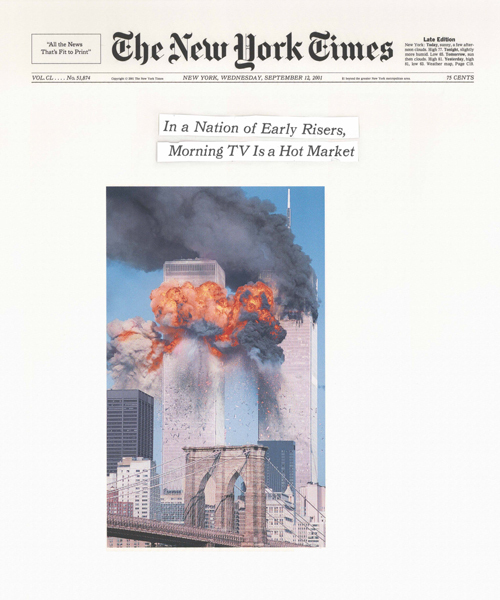 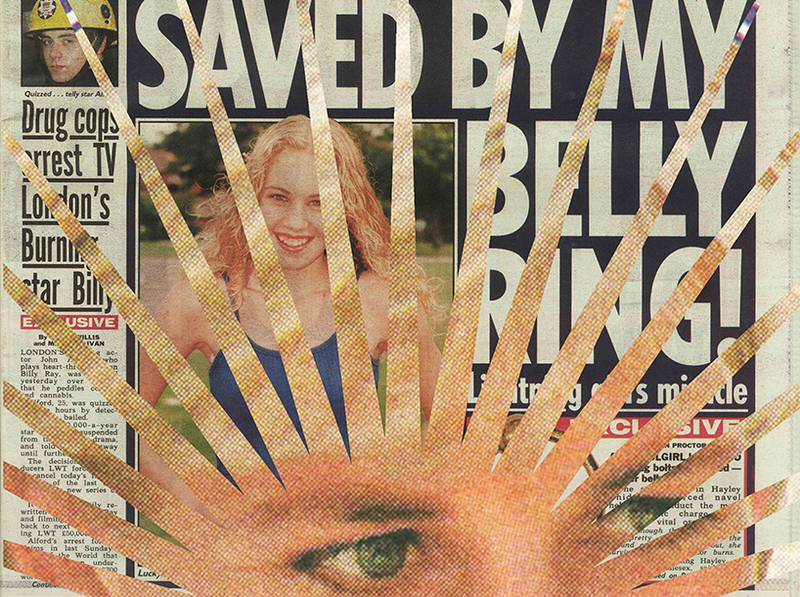 ‘for early risers, morning TV is a hot market/school dress code vs. a sea of bare flesh’ were headlines printed on the front page of new york times issue 51,873, until scott and ben cut them out and pasted them onto issue ‘874, september 12, 2001. suddenly ‘hot’ and ‘flesh’ feel different.